An all-in-one and agentless network monitoring and management system, capable of monitoring every device in your network. Monitor bandwidth, availability, performance and NetFlow. Automatic views and maps. All leading operating systems supported. Keep your Windows Services running or restart them on a user-defined schedule! Service Hawk can periodically restart services on a user-defined schedule regardless of their state, ensuring that your services are running smoothly and stay operational. 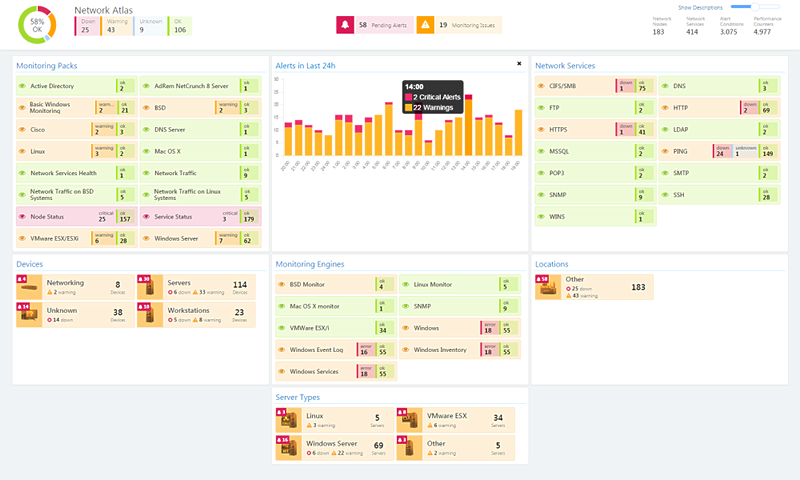 LAN Employee Monitor - A LAN monitoring software, an employee monitoring software.This LAN monitoring software captures the screen of employee\'s computer real time by matrix screen. Free ManageEngine VM Configuration tool allows a user to configure VM's enabled for VMware ESX server. It allows a user to configure CPU & Memory of a VM, execute power operations on a VM and also supports performance monitoring for VM's.